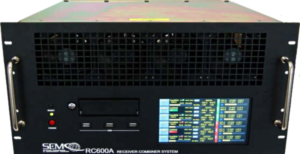 SEMCO's telemetry receivers include rack-mount 6U, 4U, 3U, 2U and 1U Dual and Quad Channel Receiver Combiner Systems, as well as single and multi-channel receiver configurations. 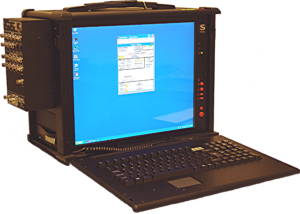 Portable systems and telemetry card sets for installation in a customer's PC chassis are also available. Frequency coverage from 70 MHz to 5250 MHz, the latest demodulator formats, unprecedented data rate capabilities from as low as 2 kbps to 40 Mbps, proven reliability, maintainability and ease-of-use, remote (network) and local controls and advanced features embracing advanced technologies such as Adaptive Equalization (AE), Data Quality Metrics Encapsulation (DQM/DQE), Space Time Coding (STC), Low Density Parity Check (LDPC), and TM over IP are reasons why most all U.S. Flight Test Ranges and several International Flight Test Ranges have modernized and standardized on SEMCO telemetry receivers. 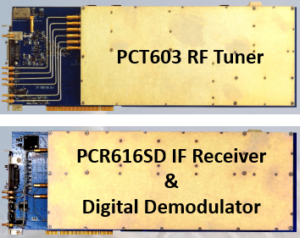 SEMCO's telemetry receiver designs embrace (1) Windows-based Operating Systems, (2) embedded Linux ARM Processors with DMZ Buffer design for IA compliance, and (3) "Ethernet Only" configurations (no Operating System). All three of these operating protocols are designed to operate side-by-side and are virtually transparent to the user.